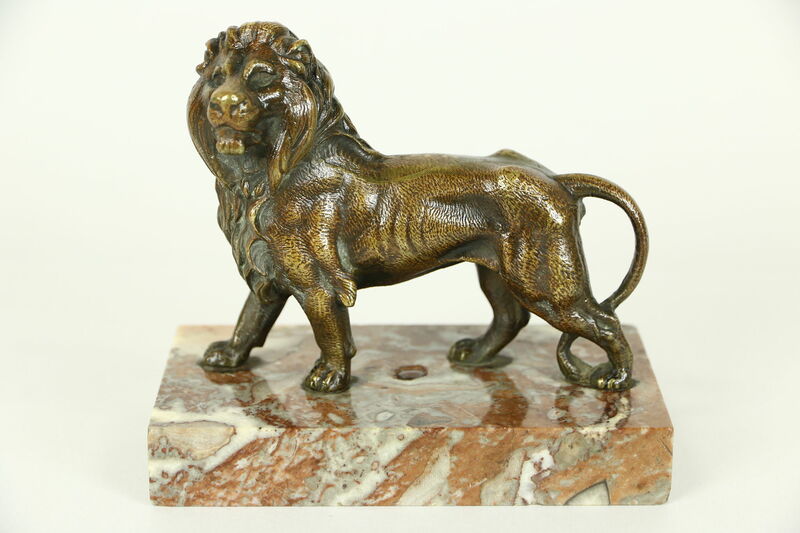 A French bronze sculpture of a standing lion has exquisite fine detailing and a rich deep patina, dating from around 1900. The marble base has very minor flakes on the edges of this unsigned antique statue. Size is 5 1/4" long, 3" wide and 5" tall. See 25 photos on Harp Gallery website that enlarge to full screen size.